The Girls Books Have Arrived! 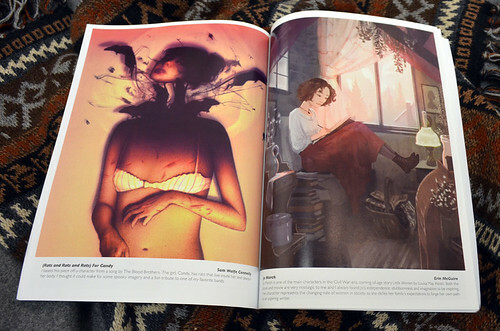 Right now, I'm sitting in front of a shelf recently stocked with our shipment of Girls: Fact & Fiction art books. They're beautiful! Once again, we're floored by the illustrations the artists have created of their chosen ladies–perhaps you've seen some of the sneak previews they've been sharing around the internet. But I'd like to take a moment to talk about the physical books themselves. They're really nice! Every once and awhile I just want to pick one up and flip through it! The book itself is completely filled with imagery and is a fun read. 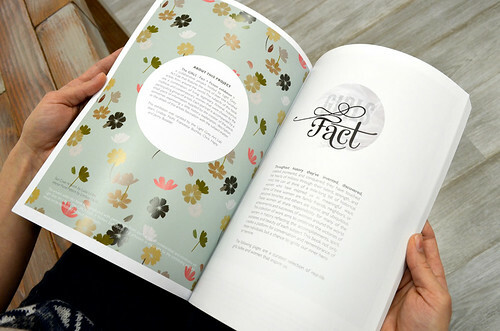 Here are a couple quick pictures of some of the spreads inside. 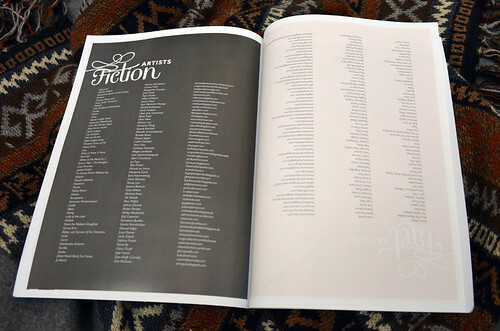 It's double-sided, so on one side of the book you'll see the Factual Ladies, and on the other side the Fictional Ladies. The books will be available for purchase during the Girls show, or you can order online. 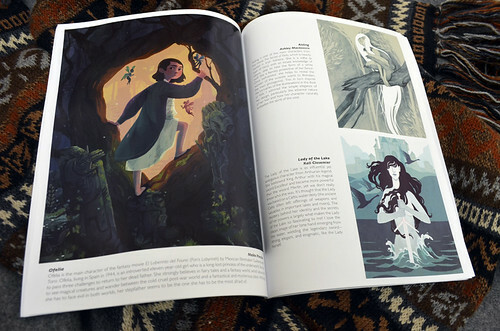 It's an 80 page, soft-cover art book and we're super proud of how amazing the show is. We can't wait to reveal all 109 pieces next Friday! If you're in the Minneapolis area you can pick one up at the gallery on the night of the opening for the GIRLS: Fact + Fiction show anytime after December 7th! We'll be shipping any orders placed through December 7th in time for the holidays, so if you know someone that is interested in grabbing one, or getting one for a friend, now is the time! 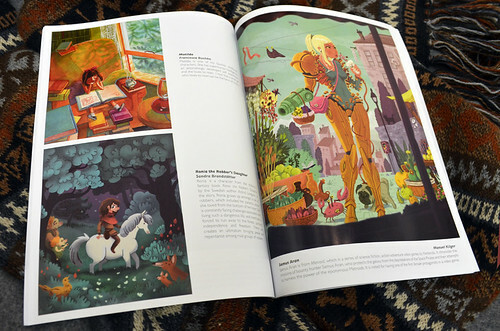 The book itself can be found here on our shop! Also! All of the pieces from the show are available as prints HERE! 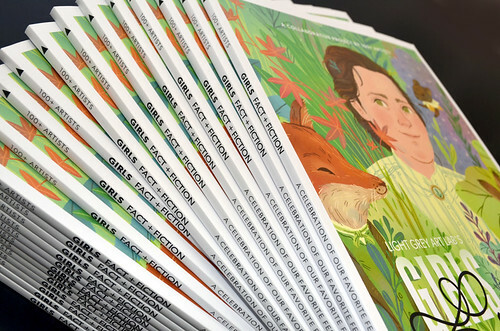 If you spend over $100 in the Light Grey Shop between now and December 7th, we'll give you a GIRLS: Fact + Fiction book for free! Think of all of the prints you can get! Now is a great time since we'll have the prints available for just a couple more days from the Tarot, Mystics and the Occult Show! Those will be available through the weekend, so you have a lot to choose from. It's a great time to get a bunch of Holiday shopping done! And we'll give you a book for being so generous! And the exhibition opens next Friday, December 7th from 7 - 10pm at Light Grey Art Lab! Here is the official facebook invite with the address and details! We'll be doing a book giveaway at the show, so please stop by if you can!